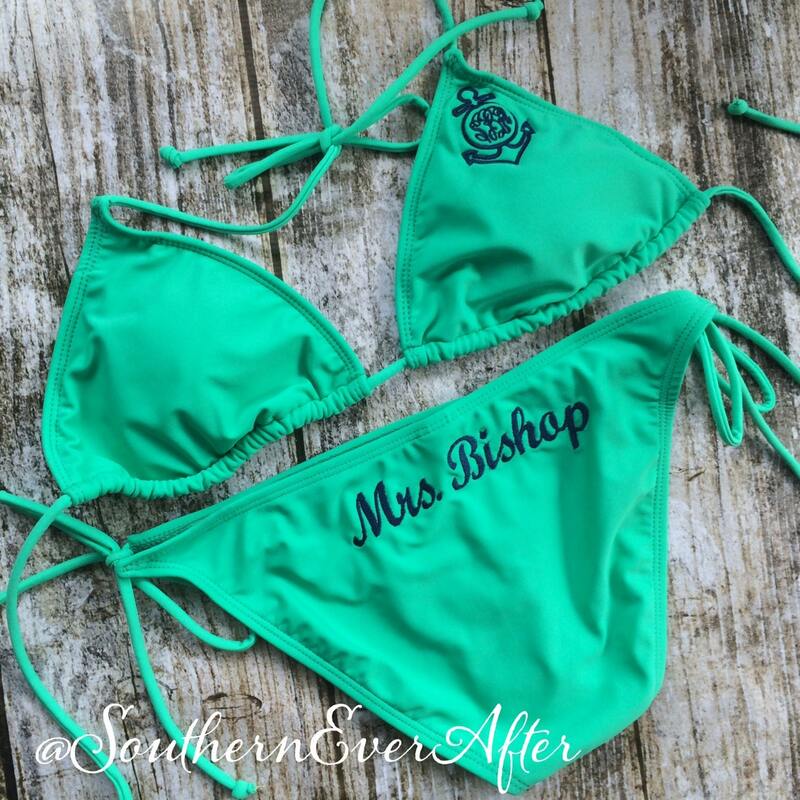 This listing is for a mint green monogrammed triangle top bikini with bottoms pictured in the first 3 photos. 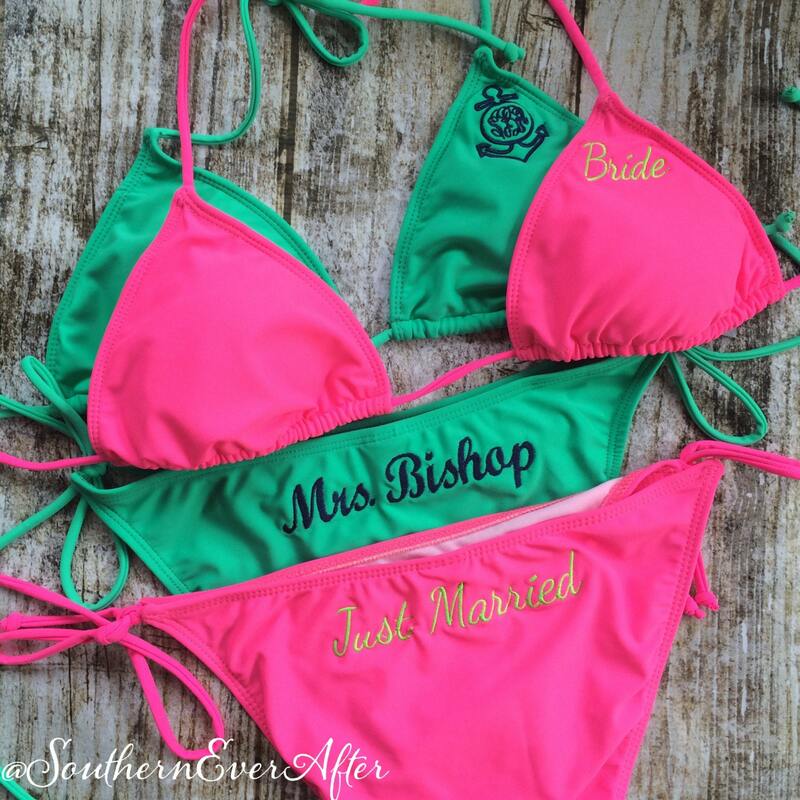 Top is monogrammed with a navy blue anchor with your new married initials and the bottoms are monogrammed with your new last name. Want a different monogram or colors? Just ask!